Customized biotechnology training workshops for government agencies, private industry and academic institutions. 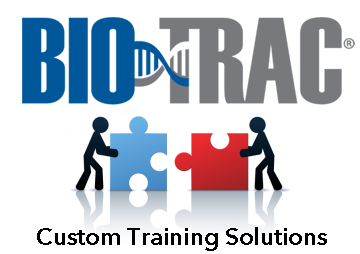 Bio-Trac delivers convenient and cost effective customized training for groups of 10 or more. Workshops can be conducted at our state-of-the-art facility or on-site at corporate headquarters, academic institution or professional meeting. Our training solutions provide comprehensive curricula with clear objectives and outcomes tailored to meet an organization’s particular research needs. Attendees gain powerful tools to increase productivity and strategically approach their research applications. Bio-Trac® workshops train up to twenty-four participants at a time. Customized biotechnology training workshops typically ranging 2-5 days in length. 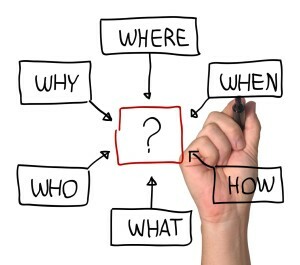 On your schedule: We will work with you to deliver the program at a time and place that is convenient for you. The timeline to develop and implement a workshop typically takes 60-120 days depending on the complexity and logistics involved. All workshops are conducted either at the organization’s facility or at a nearby location appropriate for lab training. Your organization will not incur substantial travel expenses and attendees will save valuable time away from their lab. Each attendee receives a comprehensive binder containing the program's PowerPoint presentations (printed in color) as well as laboratory protocols and appropriate reference material. If you have questions regarding the subject material presented during lectures or lab sessions, in most cases instructors are available for further assistance, even if it is three or six months later.